Dr. Soltanpour also offers Botox treatments. A popular treatment, Botox acts as a nerve impulse blocker to counter wrinkles around your eyes. Botox injections prevent wrinkles by freezing the underlying muscles. 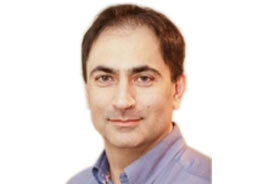 Dr. Soltanpour earned his Doctor of Medicine (MD) degree from Virginia Commonwealth University. He also completed his internship and residency in ophthalmology there. He then passed anther residency, this one in Anesthesiology, there too. He eventually moved to New York City, where he now lives, and finished an ophthalmology residency at the New York Medical College. A member of the American Board of Ophthalmology, he’s a dedicated doctor with a great passion for community service. It’s his way of giving back to the city that has given him so much. He is fluent in English, Spanish and French. Get the best eye care from Dr. Soltanpour; make an appointment today!